Xero CMO Andy Lark says companies that provide the best customer experiences will win in the connected era. Andy Lark of Xero suggests enterprises ditch “old marketing tactics” and spend their money instead on perfecting their mobile and online channels. “Get your mobile and online experience perfect, and then reinvent the overall client experience,” says the chief marketing officer of the cloud-based small business accounting software provider. "Marketing is largely a crutch for those who build lousy products," says Lark. 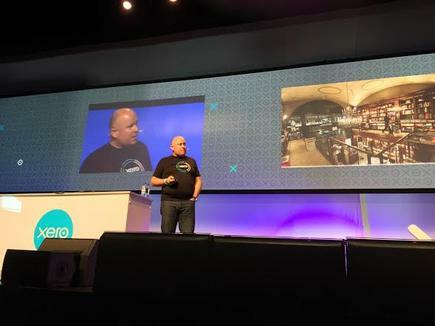 Companies that provide the best [customer] service experience wins, says Lark in his keynote on ‘change in the connected era’ at Xerocon Auckland. Increasingly, this customer experience happens on a mobile device. He says people spend more time on mobile apps than web browsers. “We do not have a phone in our pocket, we have a fully functioning computer,” says Lark. Nobody is safe in this environment. He cites the case of bookstores which are now closing down due to the inroads made by online retailers such as Amazon. Amazon will deliver a book on the same day you order, to your hotel, for $5, he states. He imagined a meeting of the bookstore executives as Amazon and online retailers were starting to expand: A 'geek in attendanc'e would be saying they needed a website, but the executives would respond by saying they must refurbish the stores. He says the death of the bookstores is a fate that could hit other industries. In the case of mobile technology, he says among the biggest users of smartphones are aged 16 to 34. “They do not live on the browser, they live on their phones,” he says.